Richard Zemel is a Professor of Computer Science at the University of Toronto, where he has been a faculty member since 2000. Prior to that, he was an Assistant Professor in Computer Science and Psychology at the University of Arizona and a Postdoctoral Fellow at the Salk Institute and at Carnegie Mellon University. He received a BSc degree in History & Science from Harvard University in 1984 and a PhD in Computer Science from the University of Toronto in 1993. He is also the co-founder of SmartFinance, a financial technology start-up specializing in data enrichment and natural language processing. His research contributions include foundational work on systems that learn useful representations of data without any supervision; methods for learning to rank and recommend items; and machine learning systems for automatic captioning and answering questions about images. 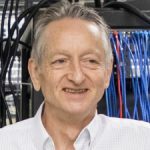 He developed the Toronto Paper Matching System, a system for matching paper submissions to reviewers, which is being used in many conferences, including NIPS, ICML, CVPR, ICCV, and UAI. His research is supported by grants from NSERC, CIFAR, Microsoft, Google, Samsung, DARPA and iARPA. 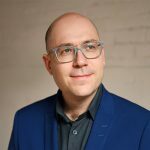 His awards include an NVIDIA Pioneers of AI Award, a Young Investigator Award from the Office of Naval Research, a Presidential Scholar Award, and two NSERC Discovery Accelerators. Rich is a Fellow of the Canadian Institute for Advanced Research and is on the Executive Board of the Neural Information Processing Society, which runs the premier international machine learning conference.